IN its homeland Spain, Albarino is dubbed "The Wine of the Sea," both because it's grown in the Rias Baixas region adjoining the Atlantic, and because of its wonderful compatibility at the table with seafood. Amongst the largest makers and exporters of Albarino is Vionta, one of an amazing 180 wineries in Rias Baixas devoted entirely to the production of the variety. The 2009 Vionta Albarino is now available here, and is a great warm weather match for summery seafoods and alfresco brunches. And while it's got distinctive floral peach and apricot aromas, on the palate its all about melons and lemons with hints of apple. A lovely drop at $30. IF YOU'VE a good Catholic girl amongst family or friends who like their Riesling, surprise them this Christmas with a bottle under the tree of the wonderfully-named Good Catholic Girl 2010 Teresa Clare Riesling. This you-beaut drop is full of mouth-watering zesty lemon, ripe apple and creamy tropical fruit flavours, making it a delight with the Christmas or Boxing Day prawns and oysters. And remarkably even though only 600 dozen bottles were made, its just $25, which is a real bargain. If you can't find it locally, order through www.goodcatholicgirl.com.au or 0419 822 909. CHAMPAGNE or Aussie bubbly as guests arrive, Riesling with a seafood entrée, Shiraz, Australia's unique Sparkling Burgundy or if you prefer whites, an aged Hunter Semillon with the ham and turkey, and a Muscat or Tokay with the Christmas pud…. These are Jeremy Oliver's suggestions for Christmas in his exceptional Wine Annual 2011 in which he extraordinarily reviews 14,000 wines from over 300 of Australia's top wineries. It's an easy-to-navigate tome, small enough to fit in the pocket, purse or glove-box, yet crammed with everything you want to know about those 14,000 wines. Excellent value at $29.95 from bookstores. SPANISH beauty with a seafood brunch. SURPRISE that good Catholic girl in the family with this flavoursome drop. It's wine show season, and one show that always encourages some unusual and inspiring entries is the Australian Alternative Varieties Wine Show (AAVWS) …and one such lesser known variety ready to now be fully discovered by the Australian consumer is Chambourcin. A French-American hybrid, Chambourcin's actual parentage is unknown after it was lost upon the death of its creator Joannes Seyve who passed away in 1963. No matter where it came from, Chambourcin is definitely finding a home for itself in Australia, particularly in some NSW vineyards. Quite fitting considering our multi-cultural society. Frog Rock Wines in Mudgee has taken particular joy in fostering this variety, welcoming it to the family in 1999. The new release Frog Rock Chambourcin 2008 ($25), like previous vintages, is showing true varietal character with the deep black/purple colour expected and also the spicy plum and ripe mulberry on the nose and palate. Where it does differ from some other Chambourcins is a much longer depth and relatively fuller body, demonstrating why Mudgee is a region really suited to growing this versatile grape variety. According to Rick Turner, owner of Frog Rock Wines, Chambourcin is very much an "underrated" variety and he is surprised that it is not more commonly grown. Rick says, "Chambourcin has excellent structure with a fine balance of acidity and tannins. The flavours aren't actually as heavy as the colour suggests and it can be an amazingly malleable variety. We produce our style to be enjoyed with hearty winter dishes or it can also be chilled down and served with your favourite spicy food." The Frog Rock Chambourcin is fermented in open fermenters and hand plunged to control tannin extraction. It is then matured in older French barriques to keep oak tannins in balance. Both the AAVWS and Frog Rock Wines have been aiming to raise the profile of lesser known varietals such as Chambourcin and Petit Verdot for many years now and to introduce all levels of wine lovers to the new and exciting things that are coming out of the Australian wine industry. There's great news today for anyone in Sydney or NSW who loves nothing more than heading to the pub for a glass or two of something cold and a delicious, well-priced meal. The inaugural Sydney Morning Herald Good Pub Food Guide 2011 is published today, and is set to establish itself as the definitive and indispensible guide to the best pub food throughout the Sydney area and regional NSW. 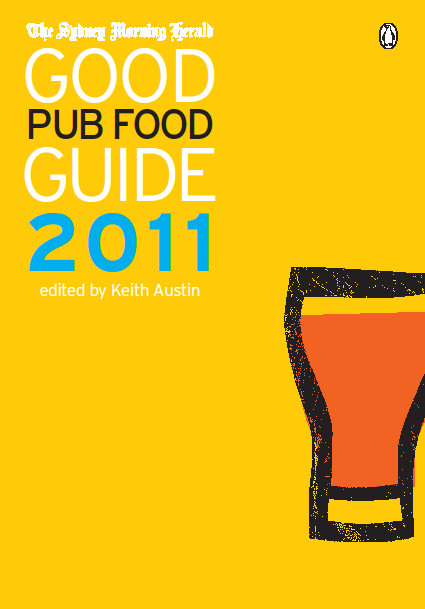 The book's publication will be complemented by the launch of the Good Pub Food Guide 2011 iPhone app later this month. To celebrate the publication of the new Guide, the first ever Sydney Morning Herald Good Pub Food Guide Awards were held last night in Sydney, recognising the most outstanding pub food offerings in a range of categories. Winner of the Best Overall Award was the Four in Hand in Paddington, a pub that also carried off the Best Pub by Region (City & Suburbs) Award. (For a full list of categories and Award winners, please see below). The Sydney Morning Herald Good Pub Food Guide 2011 is edited by renowned pub aficionado Keith Austin, who, along with a team of dedicated reviewers, spent several months putting together the material to make this Guide a pub-lover's delight. Commenting on the Guide, Keith said that that the humble hotel is undergoing something of a renaissance, possibly fuelled by the inexorable rise of the so-called gastropub in the UK but also, he believes, by the realization that top-end dining has become prohibitively expensive in recent years. "Pubs can – and do – serve some great food, and it's about time people realised that," Keith said. "There is a misconception that pubs are all about pie-warmer pies and dodgy sausage rolls but that's no longer the case." "Our team of 70 reviewers visited more than 550 pubs across NSW – everywhere from Bryon to Dubbo, Wentworth, Eden and beyond – and we encountered everything from wagyu beef to fish so fresh it winked at you from the plate." Keith said that his review team had to choose from more than 1,600 pubs and hotels across Sydney and NSW. All the pubs reviewed in The Sydney Morning Herald Good Pub Food Guide 2011 are scored out of 20, with the lowest score of 12 signifying "not bad" and a score of more than 18 receiving the ultimate "gastro-tastic" accolade. The Guide also uses a "schooner" ranking – just like the chef's hat and wine glass rankings in the recently-published Good Food Guide 2011 and Good Wine Guide 2011 books and apps. Eight pubs around Sydney, Newcastle and regional NSW scored the top possible ranking of three schooners, while nine pubs scored two schooners and an impressive 30 pubs received a one "raise a glass of the good stuff" schooner rank. As well as the reviews, The Sydney Morning Herald Good Pub Food Guide 2011 features handy "The Best" sections, including the best beer lists, the best family-friendly pubs, the best views – even the best chips! "This being the first Good Pub Food Guide we can't claim to be omniscient, and there will be places serving great food which we haven't yet discovered," Keith said, adding that readers are warmly invited to suggest pubs for future reviews by contacting him at goodpubfoodguide@gmail.com or by posting suggestions on the Good Food Guide Facebook page (www.facebook.com/goodfoodguide). "Publicans are beginning to realise that the key to a great pub is exceptional pub grub. And if you want to know where to find it, this is the book for you. Certainly there are a few even I haven't managed to get round to yet so maybe I'll see you there." The Sydney Morning Herald Good Pub Food Guide 2011 is on sale from Tuesday, December 7 at bookstores, newsagents and online at www.smhshop.com.au, or by calling The Sydney Morning Herald on 1300 656 059. Recommended retail price is $24.95. The Sydney Morning Herald Good Pub Food Guide 2011 iPhone app is available soon from the iTunes store for $9.99. 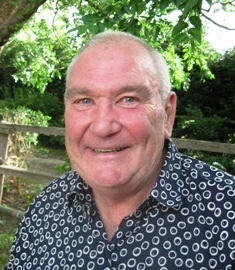 Keith Austin is a pub lover of old and a former restaurant reviewer for the Sydney Morning Herald. He has also edited two cookbooks (Blokes and Seafood). British by birth and Australian by choice, Keith sipped his first beer at the tender age of six or seven — a glass of old-fashioned bottled Guinness passed surreptitiously out of the door of the local boozer in East London by his paternal grandmother, who said it would do him good. And so far she's been right. Drinking and eating in pubs has been a pastime of Keith's ever since, so when he was approached to edit The Sydney Morning Herald Good Pub Food Guide, his only question was 'when and where do I start? BOUTIQUE cool-climate maker Shaw Vineyard Estate between Canberra and Yass has released a well-priced Winemakers Selection 2009 Riesling that's a great drop with Thai and other spicy Asian dishes. 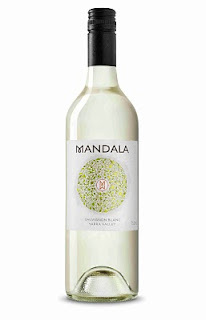 Made from entirely estate-grown fruit, the crisp citrus-dominated palate makes it ideal with those Asian foods, and certainly good buying at just $15 to take along to your local BYO. Although established only 12 years ago, Shaw has already garnered itself a strong following with a nice portfolio of whites and reds from what was once a fine-wool producing property with a history going back to the mid-1800s... enough to give you something to chat about over this delightful Riesling. BEN Jeanneret is turning heads with some outstanding wines from the family-owned Jeanneret Wines at Sevenhill in the Clare Valley. A particularly good red to look out for is his 2006 Hummer Merlot, an aromatic wine with a delicious palate of dark cherry, plum and chocolate flavours; at $40 it's a perfect match with a pepper steak – or if you're thinking about being adventurous at Christmas, with roast goose. Ben sources his fruit from a range of suppliers in the Clare, in this case from the vineyards of Jim and Coralie Jones who've been growing grapes in the northern end of the Valley for forty years – somewhat of an enviable record. IF you've oysters in mind as part of your Christmas festivities, don't look past a bottle of Mandala 2010 Sauvignon Blanc from the Yarra Valley to join them. A somewhat lip-smacking wine with zesty citrus characters and touches of gooseberry and lychee, at $20 it'll make a great match with those oysters – or if you want to be more expansive, a platter of oysters, fruit and goat's cheese. Rob Geddes' recommendations for Christmas wine this year have been some of the best tasted in 2010. These may be wines for that special dinner or to give as gifts. Dry, fine and complex, a truly smart champagne. In a year of obvious rich Riesling Daniel Wilson has made a truly delicious dry, subtle limes, elegant and appealing Riesling. The flavours are pineapple and spice of the Watervale sub region, ideal on Christmas day. This wine is extraordinary fresh nettles and herbs dry and crisp, great texture and length I am sure its their best yet. You have to try this over summer - dry but rich in texture. The sort of wine wife says” remember that one!” East coast Tasmania has great depth of flavour, velvety tannins richness in texture and fruit flavour. This is the more affordable and widely available introduction from the neighbours to Freycinet. In the same style if a touch more rustic. Tasted in a line up of wines costing up to $550.00 this shone for its freshness and fine satiny silky tannins Tim Adams really knows Clare Shiraz and this could be his finest to date. Tasted in a line up of wines costing up to $130.00 it reminds of the subtle elegance, length and power of Bordeuax and only slightly bigger than light medium body. Tasted in a line up of wines costing up to $130.00 I was remdinded that despite sideways Merlot can rock and in the hands of Petaluma it has rolled along consistently for over a decade. 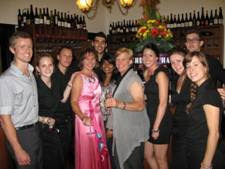 The launch of Wine Odyssey Australia in Sydney in November 2008 represented a landmark moment for Australian winemakers and consumers alike; a world-first showcase for independent Australian wineries. Now, two years on, Wine Odyssey Australia proudly provides a new route to market for Australia's smaller, lesser known winemakers and enables burgeoning wine lovers to be able to make new discoveries, and experience wines and the people behind them, that otherwise they may never have crossed. Located in a stunning Heritage building in The Rocks, the success of the model is evident, and these two years are proof that Wine Odyssey Australia has a significant role to play in the Australian wine industry. A wine lovers paradise, it could be said, but at the same time a fabulous relaxed wine and food destination for locals and visitors alike. It provides an Australian wine experience, an educational facility, a fine wine retail store, a restaurant and foremost is a fabulous iconic Sydney Wine Bar where wine lovers can while away an afternoon or evening, every day of the week. Tying in perfectly with this two year milestone, Wine Odyssey Australia has appointed Head Chef Brian Villahermosa, to take the Wine Odyssey kitchen to the next level. Previously head chef at Kirribilli's favourite tapas restaurant, Catalonia, and a CV which reads like the Good Food Guide, including The Art Gallery of NSW, Bayswater Brasserie and the famous Isola Restaurant in London, Brian is extremely enthusiastic about this opportunity. His passion for wine matched only with his passion for food, has enabled him to re-create the menu comprising share plates and quality dishes all of which can be easily matched with one of the 400 strong wines on the all-Australian list at Wine Odyssey. Extremely enthusiastic about the future of Wine Odyssey Australia, particularly having attained the two year milestone in some of the most challenging economic times, owners Angela Brown & Lynette Rae, both reflect on the journey thus far. "Rewarding, challenging, inspiring, exhausting, exciting – these are just a few of the emotions we feel as we celebrate our second birthday this month" says Managing Director Angela Brown "but there isn't a day which passes that we don't feel proud of what we have achieved for the Australian wine industry" Angela continues. Lynette Rae, who was recently selected by the NSW Department of Industry and Investment to take part of a buying trip to Australia's newest wine region, the New England, spoke of Wine Odysseys place in today's wine industry to other delegates and the regions burgeoning industry. So, where to next? Rumour has it that the tireless crew at Wine Odyssey Australia may be considering a joint venture opportunity in Asia, replicating a fabulous model showcasing small and family owned Australia wines to the world.